We are now one month away from the domestic theatrical release of Walt Disney's Star Wars: The Last Jedi. The marketing team is in full gear and IMAX has released a new movie poster. It doesn’t feature any new images of the characters. 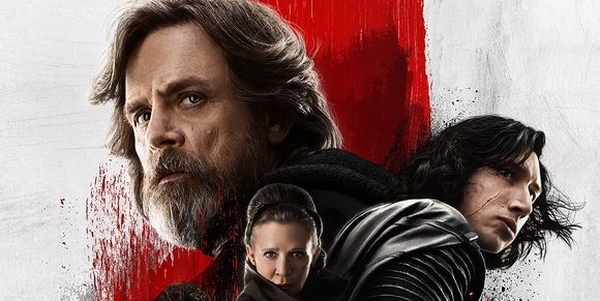 It features a large view of Mark Hamill, 65, Luke Skywalker in his "Old Man" robe. Adam Driver, 33, shows off his wicked scar while holding his Kylo Ren helmet. Carrie Fisher is looking regal as General Organa in her robe. Poe Domeran is looking pensive and downcast. John Boyega, 25, has a thoughtful look as Finn gazing into the distance. 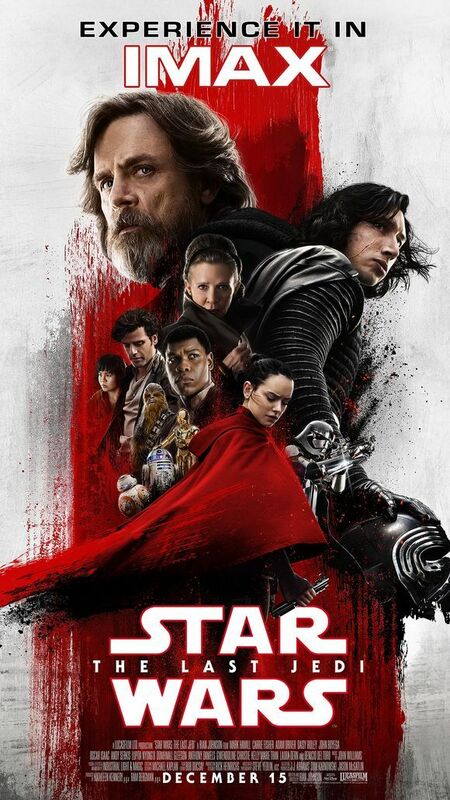 The most striking image is of Daisy Ridley, 25, as Rey wearing a red cloak and holding Luke’s lightsaber. Captain Phasma, Rose Tico (Kelly Marie Tran), Chewbacca and the droid crew of BB-8, C-3PO, and R2-D2 round out the poster. 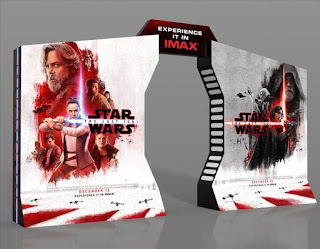 Here's a standee that they released previously showing the two sides. The Last Jedi picks up after Star Wars: The Force Awakens with Rey bringing Luke his lightsaber to his secluded island. This is going to be huge. Disney and LucasFilm are so happy with the director Rian Johnson that they’ve put him in charge of the next trilogy of movies. While the movie wasn't filmed in 3D it Star Wars: The Last Jedi will be digitally re-mastered into the image and sound quality of The IMAX Experience®.